Professor Sattar J. Aboud holds PhD in cryptography and currently a visiting Professor at the University of Information Technology and Communications in Baghdad-Iraq, since November 2017. Prof. Aboud PhD in 1988 in the UK and worked in various academic institutions and research centres across various countries. Prof. Sattar gathered wide and rich experience in teaching, researching and in quality assurance in areas of academic education. Prof. Aboud acquired high educational leadership experience for more than 29 years. 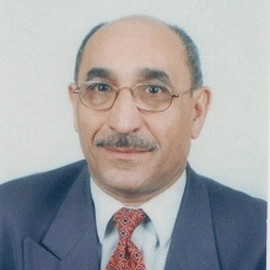 Prof. Aboud led in the establishment and development of information technology faculties and computer science departments in various universities worldwide. Parallel with my applied cryptography teaching role, I have involved heavily in research activities in different areas of applied cryptography and information security including cybercrimes. I am able to put research ideas and proposals into action as well as designing projects for postgraduate studies (PhD and Masters), and undergraduate (Bachelors) levels. Prof. Aboud has written over 500 peer-reviewed journal articles and approximately over 20 journal publications on bitcoin and crypto-currency and recent trends in cryptography.